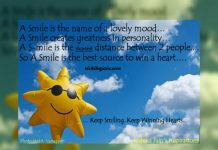 Home Emotions and Feelings Happiness Smiling quote ….. 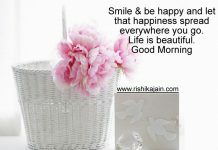 I was smiling yesterday, I’m smiling today and I’ll smile tomorrow. 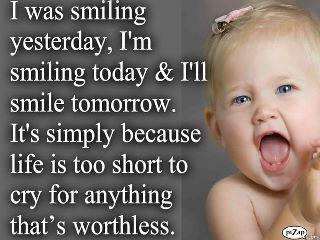 It’s simply because life is too short to cry for anything that’s worthless. Previous articleHappy Valentines Day ….